In 1953 Eric Shipton was controversially overlooked as leader of the British Everest expedition in favour of John Hunt. 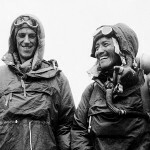 The decision was vindicated when Edmund Hillary and Tenzing Norgay became the first people ever to reach the summit on 29 May, largely as a result of Hunt’s organisational skills. All three men went on to fame and fortune while Shipton, one of the greatest mountain explorers of the twentieth century, disappeared into obscurity and a life of manual labour for the next few years of his life. Although he was a mountaineer Shipton was most at home exploring unknown country. He had led two pioneering reconnaissance expeditions to the south side of Everest in 1951 and 1952, but his preference for exploration and reluctance to launch attempts to climb Everest and nearby Cho Oyu on the two reconnaissance expeditions made the Himalayan Committee nervous of appointing him to lead the full-scale assault in 1953. A Swiss team had narrowly failed to reach the summit 1952, and a French team had the one and only permit for 1954. It looked like 1953 would be the last opportunity to bag the summit for the fading British Empire and Hunt, an army logistics officer with some experience in the Himalayas, was seen as the right man for the job. Nevertheless, the decision to appoint Hunt tested the loyalty of many of the expedition team members, none more so than the two eventual summiteers, who owed Shipton more than they could ever repay. Had it not been for two chance decisions of his, it is possible neither would ever have stepped on Everest’s slopes at all. Here’s a passage from Shipton’s biography, That Untravelled World, about an incident that occurred as he was preparing for the Everest reconnaissance of 1951. 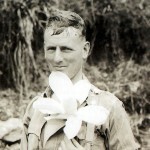 Dan Bryant was a New Zealander who travelled to Everest with Shipton in 1935, whose cheerful attitude had left a mark. Sixteen years later Shipton agreed to accept Edmund Hillary and Earle Riddiford onto the team for the 1951 reconnaissance on the spur of the moment because he had fond memories of the other New Zealander he had climbed with. Hillary’s performance on Shipton’s reconnaissance expedition put him in the picture for the successful 1953 expedition and the rest, as they say, is history. Tenzing Norgay went on to become the greatest of climbing Sherpas, even before he set foot on Everest’s summit in 1953, accompanying almost every major Himalayan expedition after being introduced to Shipton, and becoming as good a climber as his employers. It’s possible if Shipton hadn’t then somebody else would have given him his chance, but it’s equally probable they wouldn’t. Tenzing’s landlord in 1935 was a certain Angtharkay who accompanied Shipton on many of his expeditions in the 1930s. Angtharkay was there on selection day, and it’s very likely Tenzing was there because of him. When we think of the history of Everest, we think of Mallory and Irvine in 1924, of Hunt, Hillary and Tenzing in 1953, and later of people like Messner and Habeler who completed the first ascent without oxygen in 1978. But possibly the most significant name in Everest’s history is that of Eric Shipton. 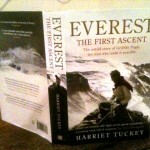 ← Why did Harry’s Mountain Heroes leave Everest early? 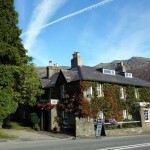 Cheers, Dean – enjoy the climb! Thanks for reminding us of a pioneering explorer, perhaps a little forgotten nowadays. We (together with my mother, brother Paul and I) met Eric Shipton in the 1970’s when he was visiting his sister in the then Rhodesia. It was like yesterday. Piercing blue eyes that spoke a vastness – as if looking out over glacial peaks in Norway or in the Himalayas. To have found the route to conquer Everest and not be credited in like manner, nor to be offered the position as first to ascend the summit climb, is one of the great travesties. Interestingly I’ve just been reading Chris Bonington’s book The Next Horizon. He describes meeting Shipton in Patagonia in 1963 after his first ascent of the central pillar of Torres del Paine with Don Whillans.